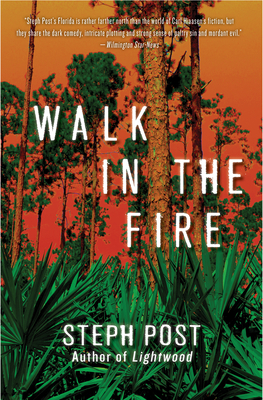 Steph Post is the author of two acclaimed novels: A Tree Born Crooked, a semi-finalist for the Big Moose Prize, and Lightwood, the first Judah Cannon novel. Post is a recipient of the Patricia Cornwell Scholarship for creative writing from Davidson College and the Vereen Bell writing award for fiction. She holds a Master's degree in Graduate Liberal Studies from the University of North Carolina Wilmington. Her short fiction has appeared in Haunted Waters: From the Depths, The Round-Up, The Gambler Mag, Foliate Oak, Kentucky Review, Vending Machine Press, Nonbinary Review and the anthology Stephen King's Contemporary Classics. Her short story "The Pallid Mask" has recently been nominated for a Pushcart Prize. She is a regular contributor to Small Press Book Review and Alternating Current Press and has published numerous book reviews and author interviews. She is currently the writing coach at Howard W. Blake High School in Tampa, FL. Visit author's website at stephpostfiction.com or @StephPostAuthor.